I didn’t have much interest in reading about bamboo fly rods until I purchased one. Now I have three. Although two rods were commercially manufactured half a century ago (by Montague and Granger) and the other was made by an unknown rod builder, the trio cast well on the water. Catching my first trout on two of them was absolutely thrilling — especially for an angler who does not tie his own flies. 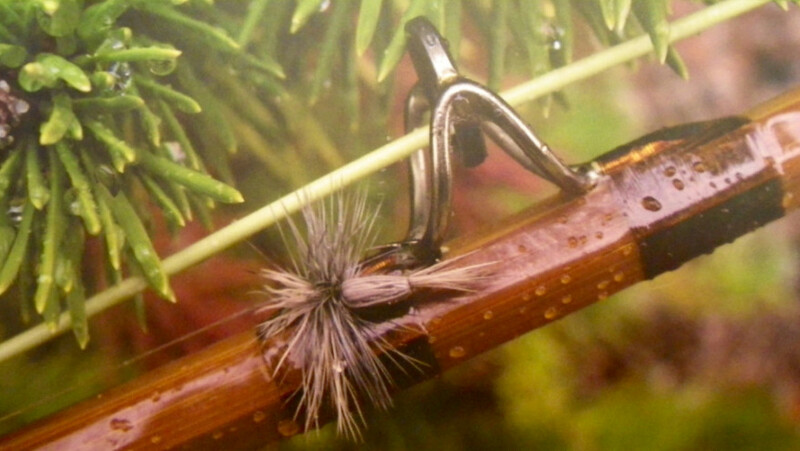 I would rather spend long, dark winter nights in an armchair reading about my passion than sitting at the vise transforming fur and feather into enticing artificial insects and aquatic critters. I baptized the first cane rod I acquired during a fall visit to The Catskills. The fishing was challenging because of the late season and low water, so I failed to net any trout. No matter. Casting bamboo did make me feel closer to the heritage and tradition of a sport I have grown to love. There is something ineffably special about holding a bamboo rod in your hand and casting on peaceful trout waters. Technology has made graphite rods, even less expensive, entry level models by the major manufacturers, a pleasure to cast. But there is a deeper joy that accompanies casting a rod born of nature, with the imprint of being hand-made rather than manufactured. Casting a cane rod slows you down, increases your attentiveness to the sensual grace of casting. It is meditative physics in motion. A dance between angler and rod. Since I’m an addicted armchair fly angler, the acquisition of the split-cane rods quickly got me prospecting literature devoted to bamboo. As it turns out, I discovered a delightful tributary that feeds into the mainstream of fly angling literature. I would like to share some of my findings. Of course, there is an untold number of books about fly fishing with bamboo. These are simply the titles I have stumbled across and enjoyed. All are written by contemporary fly anglers. Subtitled An Angler’s Passion for the Traditional Fly Rod, it comes with a new introduction in which Gierach confesses he doesn’t fish as much with bamboo as he once did. The book has the kind of sardonic, no-nonsense, Everyman’s approach that characterizes all of Gierach’s writing. Gierach’s angling buddy and fellow bamboo aficionado Ed Engle celebrates bamboo fly rods not as works of art or as elements of a living tradition, but as effective tools to catch fish. Splitting Cane is a collection of conversations between Engle and 16 of the best contemporary rod makers including the late Ted Knott, the legendary, Hamilton-area rod builder whose reputation endures. 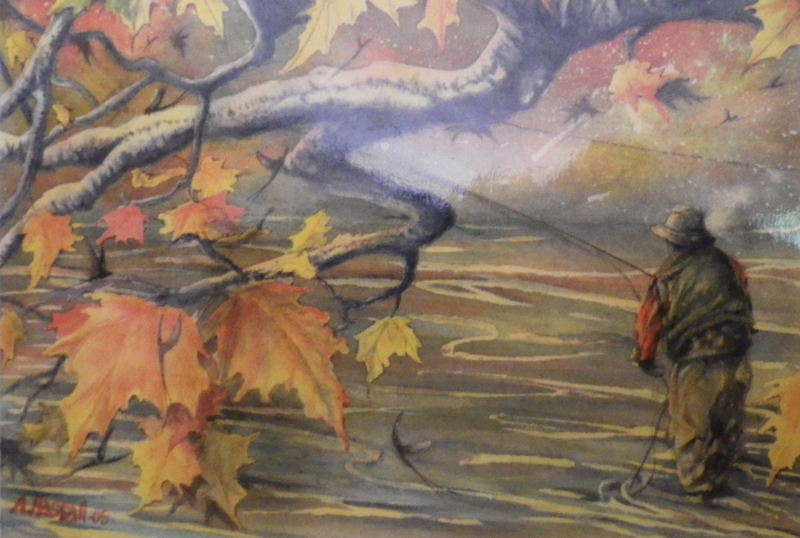 George Black’s Casting A Spell offers a comprehensive social history of bamboo fly rods. Subtitled The Bamboo Fly Rod and the American Pursuit of Perfection, Black argues that hand-crafted, split bamboo fly rods are a quintessentially American invention. He traces the evolution of the bamboo rod through the lives of the masters and artisans who crafted these works of functional art with little to gain in terms of financial prosperity. It’s a sad, invigorating story of rise and fall and rise again. Black examines the history of the bamboo rod in the context of larger cultural trends spanning politics, recreation, economics, environmentalism, industrialization and conspicuous consumption. Frank Soo’s Bamboo Fly Rod Suite is subtitled Reflections on Fishing and the Geography of Grace. It was inspired after he found and restored an old, beat-up, bamboo fly rod. In contrast to Black’s focus on the pursuit of perfection, Soo argues in his novella-length meditation that fly fishing is worthwhile because it teaches us to deal with failure. It’s the mistakes we make that matter. He also advocates a slower pace in an age of increasing acceleration, balancing a life of work with play so we find time to wonder. Jerry Kustich has become one of my favourite fly angling writers. In another blog entry I praise his most recent book, Around the Next Bend, which chronicles, among other things, his departure from Winston and the death of his wife. Spurred on by Around the Next Bend, I perused the world wide web and located a copy of his earlier book, A Wisp in the Wind, published in 2005. This book covers a happier time in Kustich’s life, when he and Glenn Brackett were among the exuberantly contented Boo Boys working for Winston in Twin Bridges, Montana. He takes readers on an up-close and personal journey through the making of split-cane rods. 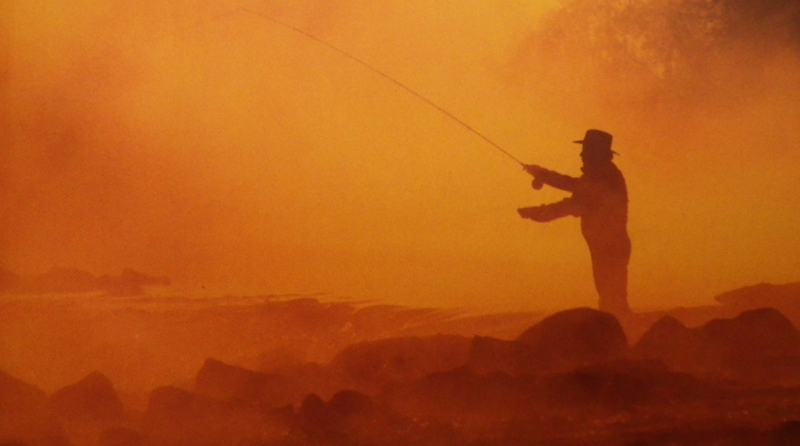 Contemporary fly fishing would be much different were it not for the counter-culture idealism of the 1960s and 1970s. Kustich became immersed in fly fishing as a back-to-the-land proponent, and he is to fly angling literature what Robert Pirsig is to motorcycle literature. In fact, Zen and the Art of Motorcycle Maintenance is oft quoted in the book, which, like Around the Next Bend, is illustrated by Al Hassall, who has moved from Arthur to north of Superior. ‘The Grand River, which flows through Fergus, Ontario, is distinct because it has been resurrected from the trash heap of degraded rivers common to areas of heavy population inspired by the united vision as to what a revitalized river could mean to the health and psyche of a community. ’The section running through town is cool and clear thanks to a bottom release dam above Fergus that impounds the water known as Belwood Lake. In the early nineties several community and agency leaders from around the area devised a plan to clean up the river and provide guaranteed flows that would support trout. After a multi-year catch-and-release program of stocking, the Grand has become a model for reclaimed rivers that could be used throughout North America,’ Kustich continues. Kustich’s words make a fly angler proud to call the Grand River his or her home waters.